Join the world of high-level standards and best quality. The place where you can find famous and traditional brands as well as small independent labels. Visit our main store and our experienced and qualified staff will be happy to help and advise you, leading you through the world of fashion and sport. 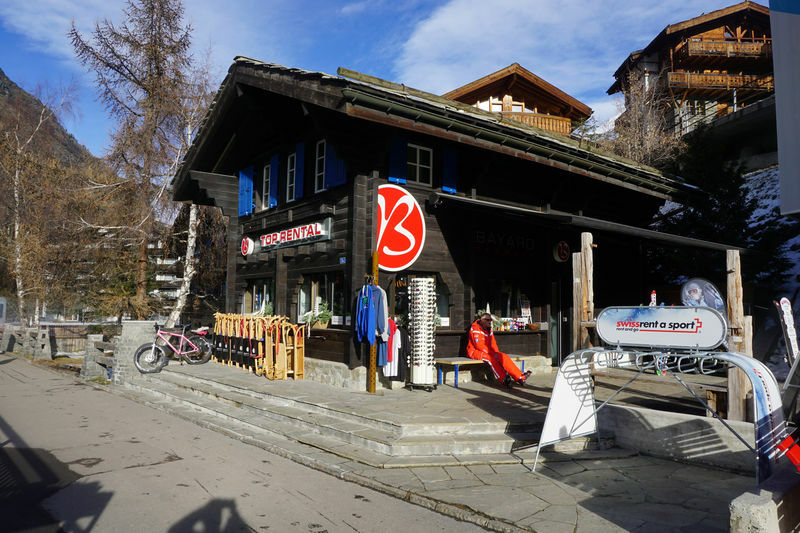 At our rental station next to the train station and at our shop next to the “Sunnegga Express” station you can hire all the equipment required for your snow and outdoor adventures. The range of rental items will be available from skiing, freeriding as well as mountaineering and mountain biking. Clothing needed for this kind of experience will also be provided at the main store. On top of that you have the possibility to hire a ski locker with boot, helmet and gloves dryer there too. During your rental period, changing your skis or your snowboard whenever requested, will be included in the rental fee. Furthermore, you can find the leading Swiss ski brand “Stöckli” exclusively at our shops to test, rent or buy. Individual consulting and professional service are our strength and we will be delighted to lend a helping hand.